The Lucente is an ultra contemporary door. It has a minimalist design with a stunning gloss finish. 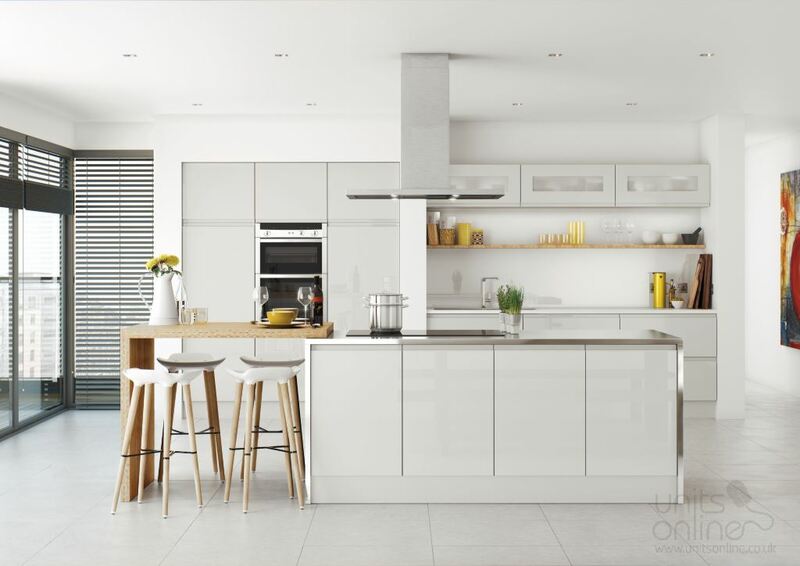 The design produces a kitchen with clean lines to give an uncomplicated and exclusive look. It is available in these powerful eight colours. The Lucente Anthracite makes a bold statement. 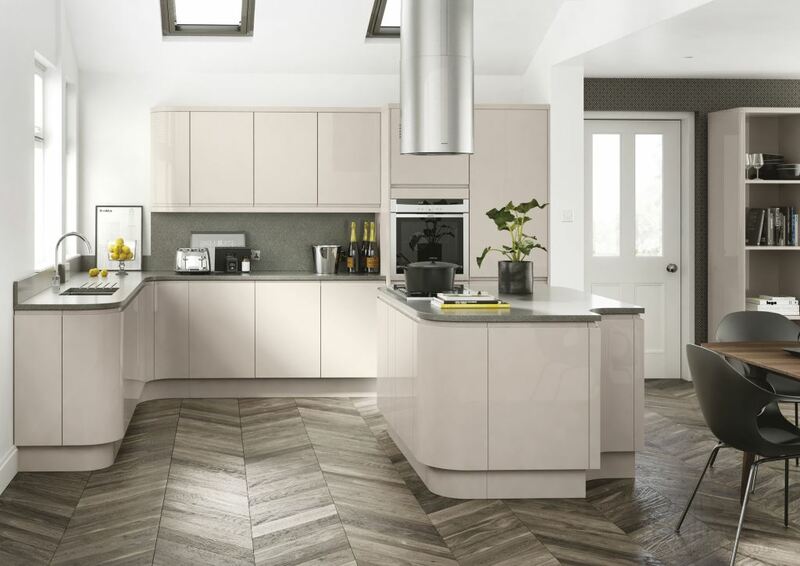 The on trend colour suits perfectly the cutting edge design and sleek style of the Lucente range. The Cashmere is a popular choice for the stylish Lucente range. 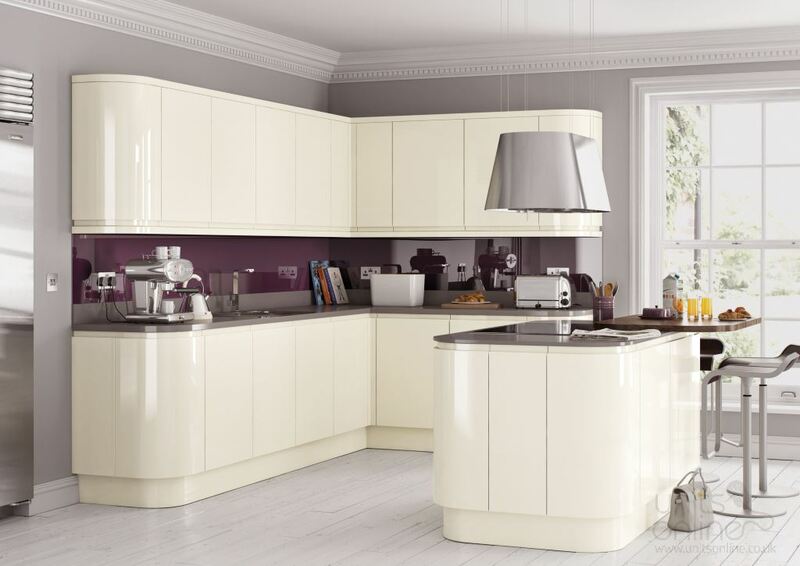 It makes a stunning impact perfectly displaying the handleless design style. For those looking for a warm and welcoming setting the Lucente Cream is a great choice. Combined with the curved doors it creates a softer aesthetic. 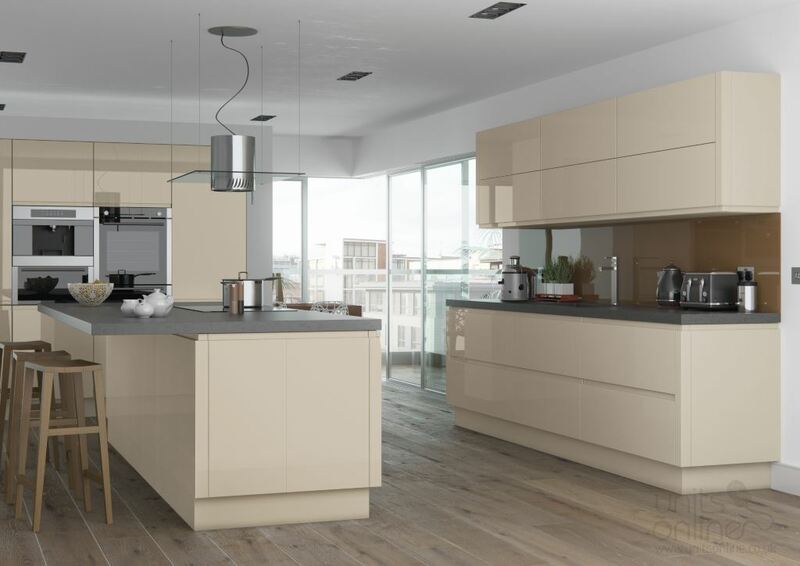 Lucente light grey provides uncompromised style with sleek and contemporary design. 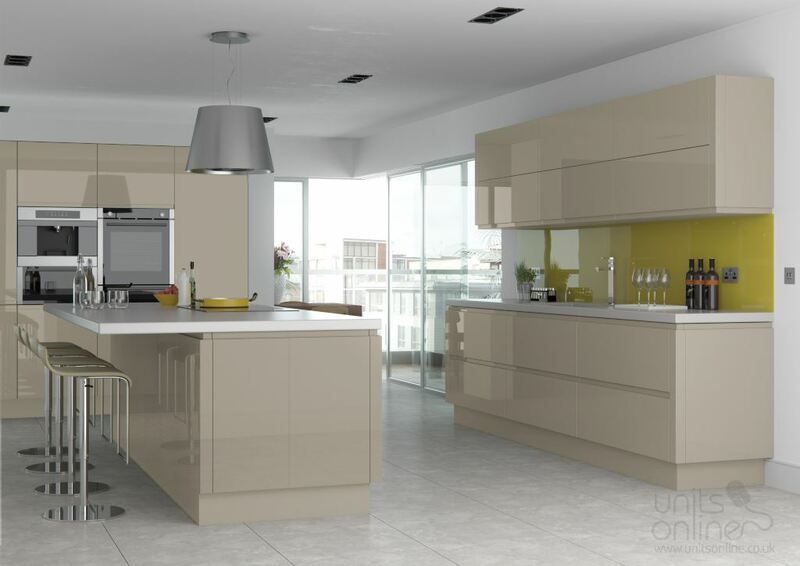 For those with an eye on design the light grey and Lucente combination are the perfect match. For a real style statement and contemporary environment the Lucenete Pavilion is perfect. 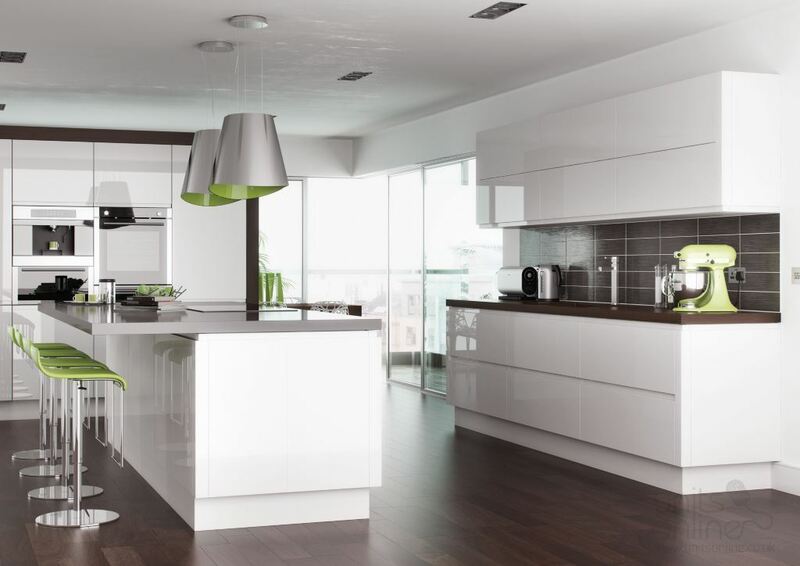 The Lucente in Porcelain gloss is a neutral tone which emphasises the sleek contemporary handleless design. The Stone present an innovative colour providing a natural and calming ambience thorughout the kitchen. 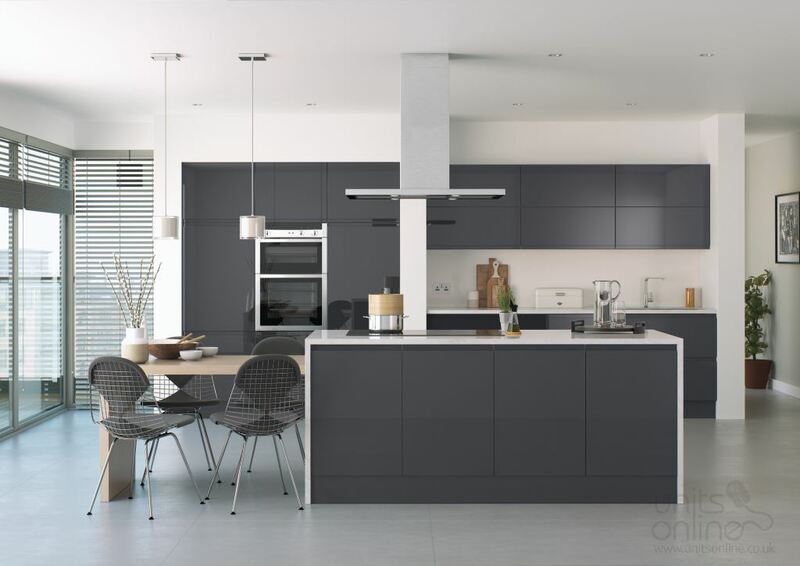 The fresh colour is a great match for the sleek handleless style. 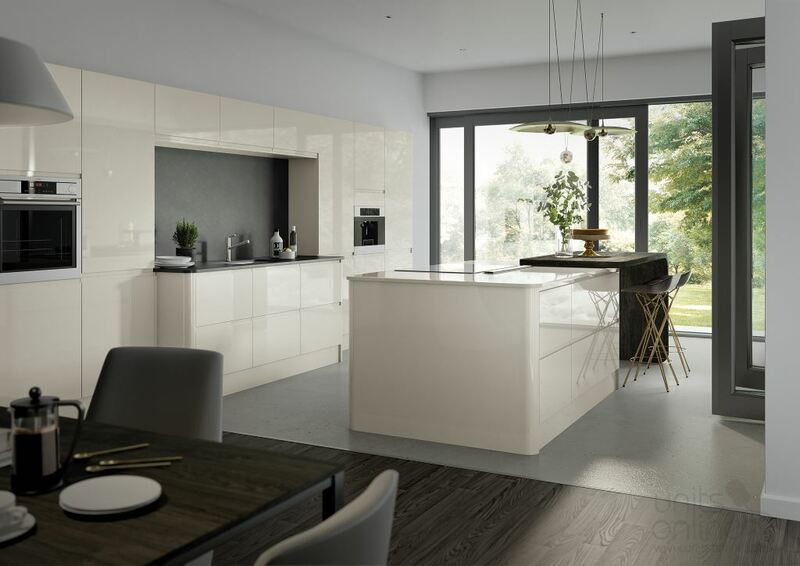 The Lucente handleless kitchen is a sleek contemporary design. The gloss White gives a simple and uncomplicated exclusive look.